Archie Campion at the time of Boilerplate's unveiling, 1893. Born on November 27, 1862, Archie was a very curious child, with a voracious appetite for learning. 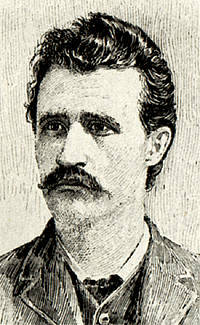 His early influences and heroes were inventors such as Johnny Brainerd, and Frank Reade. Their adventures with the Steam Man and the Electric Man, were chronicled in "Edisonade" publications like Beadle's Half Dime Library. 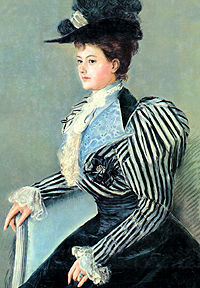 His older sister Lily, considered quite progressive for the era, married Hugh McKee in 1870. This was after a lengthy courtship that built quite a strong bond not only between Hugh and Lily, but Archie as well. When Hugh McKee was killed in the Korean War of 1871, this had a profound effect on Archie. His later declaration that Boilerplate's purpose was "to resolve the conflicts of nations without the deaths of men" can probably be traced back to this event. Compounding the trauma was the Great Chicago Fire, occurring mere months after McKee's death. Archie and Lily were spared, but their parents were killed in the conflagration. Archie's father was the brilliant Robert Campion, who ran the first company in Chicago that produced differential calculating machines. Unfortunately, his estate did not leave the orphans economically secure. 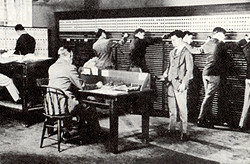 One early job, which supplemented both Archie’s income and his increasing technical experience, was as an operator for the Chicago Telephone Company. 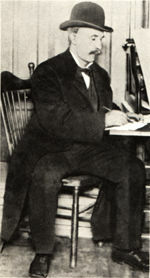 At right is a photo of Archie in 1878, standing next to his supervisor's desk. He and his fellow operators, all boys during this period of telephone history, were dubbed "wild Indians" at the company because of their rowdy behavior. Archie’s talents and his obsession with technology eventually earned him a lucrative income. In 1882 he filed a variety of patents for valvular conduits and polyphase electric systems. Within three years, royalties from Westinghouse Electric made Archie a millionaire. It was with this windfall that he financed his next project: Boilerplate. In 1886 Archie Campion abruptly stopped filing patents and became more reclusive. In 1888 he built a small laboratory in Chicago and began constructing his mechanical man. Between 1888 and 1891, there are no known mentions of Campion in print. When Archie applied for a space in the Machinery Hall of the 1893 World's Columbian Exposition, he disclosed his project to fair organizers. Apparently they were impressed enough to give him a space well toward the entrance. Despite unusual publicity tours, not a lot of documentation remains of the inventor and his proudest creation. Boilerplate’s presumed destruction in 1918 changed Archie’s status from obscure to nonexistent. He died where he was born: in Chicago, Illinois, on October 30, 1938. On November 27, 1912, a banquet at the Drake Hotel was held in honor of Archie's 50th birthday. The pre-eminent scientists and inventors of the age were in attendance. 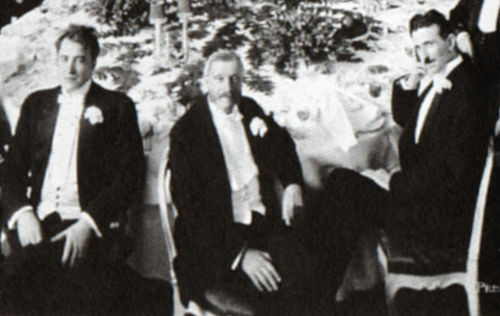 From left to right: Frank Reade III, pioneering aeronaut and creator of the Electric Man; Archie Campion, father of modern robotics; and Nikolas Tesla, genius in the field of electromagnetics, invented the AC electrical system, and filed the first patents for radio apparatus. All contents copyright 2000, 2010 Paul Guinan. Boilerplate, Archibald Campion, and all related marks and indicia are trademarks of Paul Guinan.